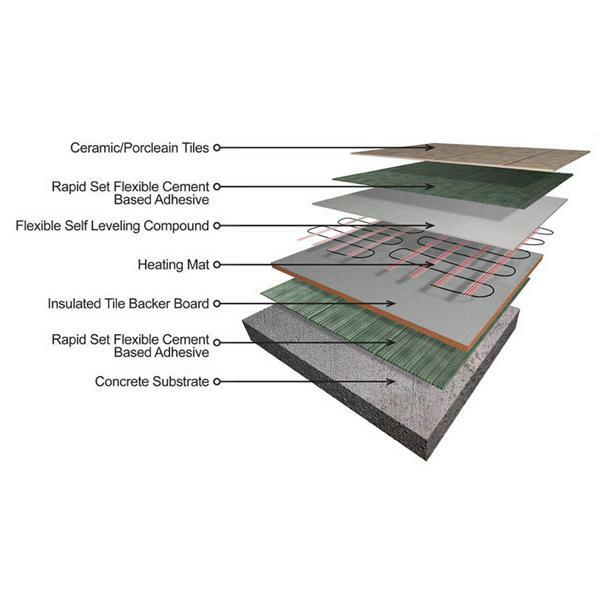 Being light weight, structural products which are easy to cut and form, Thermal Tilebacker Boards can be used to construct all manner of intricate structures. They are deal to insulate beneath electrical underfloor heating and as waterproof wall boards in wetroom, steamroom or damp environments. The boards are constructed from an extruded polystyrene core which is coated on both sides by a highly polymer modified cementitious coating. Encapsulated within the coating is an alkaline resistant glass fibre reinforcing mesh. The foam core provides excellent thermal insulation properties and high compressive strength with very low weight. The cement based coating gives the product excellent impact strength and impact resistance, ensuring that the boards stand up to the rigour of the site environment. Our cement coating also enhances the fire resistant properties of the board and creates a tile ready surface. The boards are available in a variety of thicknesses, from 6mm to 70mm, and in areas from 1200mm x 600mm to 2400mm x 1200mm.